If you're building a personal or business social media brand, you're likely all over image sharing. But did you know that the quality of image matters as much as the content of the image itself? Digital marketing agency fishbat shares three benefits of using high-quality images on your social channels. A modern update on the proverb, "A picture is worth a thousand words," can sound something like: "A picture is worth a thousand likes, shares, comments and follows." Including relevant, high-quality images in your social media posts increases the likelihood that users will engage with your content, which is ultimately the goal of a successful social marketing strategy. - Consider your audience when choosing images worth sharing. They should be relevant to your brand and speak to your target audience's interests. - Look to stock photography sites for high-quality images, but conduct research first. Many stock photography websites offer affordable monthly subscriptions for your brand to take advantage of. If your brand's budget doesn't have room for a paid stock photography service, there are free alternative sites that only ask that you attribute the images you use to the photographer. - Smartphone cameras have come a long way in terms of their ability to produce high-quality photographs. Consider using original images from images you took or that your brand has commissioned. This can include anything from photos of a home listing for real estate agents to pictures of new menu items for restaurants. Be creative. Your followers will appreciate it. - High-quality images can include visual media other than photographs. Infographics can provide key information in a memorable, visually appealing way. Memes are a great way to add content that is fun, engaging and shareable. Think outside the box and get creative. Reinforce Brand Messaging. High-quality content, such as photographs and infographics, help reinforce your brand's messaging to target audiences. Pairing your message with a related image can help increase a user's ability to retain your brand's core messaging over a longer period of time than text alone. Most social media platforms were designed for image sharing, so take advantage of it and strengthen your brand's message to its target demographics. 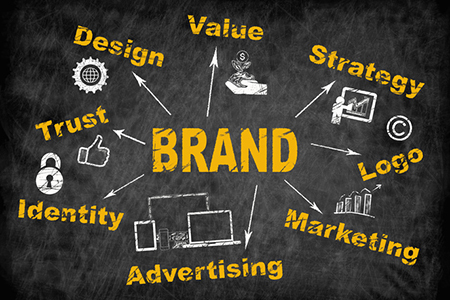 Create a Brand Identity. Social media platforms are visual experiences by their very nature. By utilizing similar images, colors and logos across a variety of social media channels, users will come to associate you with a particular brand identity that you get to create. Maintaining consistency in the types of high-quality images that you share with your followers is vital in cultivating a strong brand identity on social media.